Canopy NWA is a registered 501(c)3 nonprofit organization started by Northwest Arkansas residents who are working to create a place of refuge for people fleeing persecution due to race, membership in a particular social group, political opinion, religion, or national origin. According to the UN Refugee Agency, there are 68.5 million forcibly displaced people worldwide. 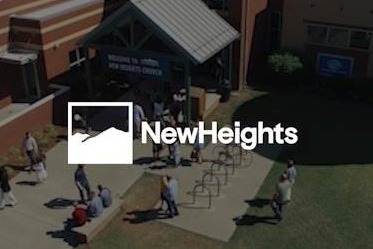 In response to our calling and the great need represented, New Heights Church has formed a co-sponsorship team with Canopy NWA to serve a family of refugees who recently arrived in Northwest Arkansas. Please join us in supporting this refugee family as we help them build a new life and home here in Northwest Arkansas. Your gift will be life-changing and will be used to make sure the family has all their basic needs met from home furnishings, food and much more!